For all that both National Theatre of Scotland and National Theatre Wales both eschew the idea of being tied to a single theatrical home, British theatre culture is still largely based around buildings: the theatres led by artistic and/or executive directors who set their agendas and that of the theatre industry. They are literally the guardians at the gates – and in the West End, those guardians are the theatre owners, whose decisions of which productions to book into their venues dictates what we see there. In a world where demand for available theatres far exceeds supply, there’s a power imbalance between owners and producers. It’s why half of the top 10 of this year’s The Stage 100, in association with Spektrix, are its most prominent theatre owners. But four of them are also influential as producers in their own right, while Nicholas Hytner and Nick Starr (at number 11) have consolidated their post-National Theatre power by becoming theatre landlords, with plans to expand beyond their first venture, the Bridge. A Briton’s home is still his castle – and property is still king in theatre. No wonder then that, on the rare occasions when a theatre comes on the market, there’s an unseemly scramble to acquire it. 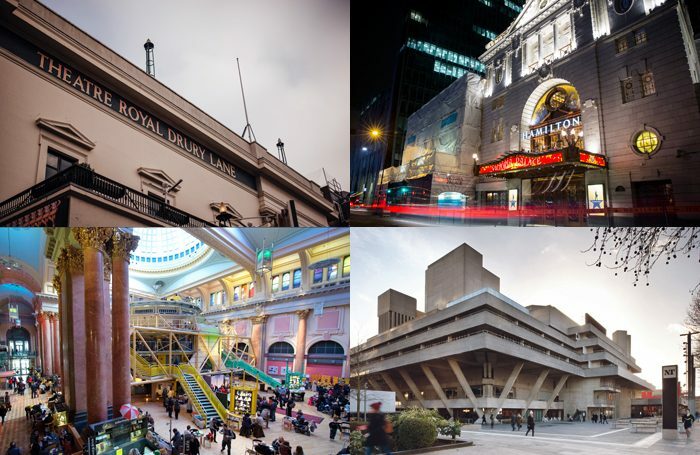 Two theatres changed hands in 2018: Ukraine-born billionaire Leonard Blavatnik paid an astonishing £45 million to acquire Theatre Royal Haymarket last year, and is considered to be a major contender for the future acquisition of Ambassador Theatre Group. Ownership of the tiny Ambassadors Theatre passed to ATG, which outbid Cameron Mackintosh to acquire it after Mackintosh had advanced serious plans to overhaul it as a versatile, thrust-stage transfer house for regional productions. Meanwhile, ATG’s co-founders Howard Panter and Rosemary Squire, who once topped The Stage 100 list, are moving up the list again as they build a new empire, with control of the Trafalgar Studios – arguably the most uncomfortable theatre in the West End, but also increasingly one of the most interestingly programmed, with transfers last year for The Grinning Man from Bristol, Misty from the Bush and currently Nine Night from the National. If it could only sort out those seats, it might become one of my favourite theatres in London. As it is, it has provided a uniquely creative solution to one of the West End’s formerly most unloved theatres, carving out two showcase spaces for shows from elsewhere to continue their lives. Trafalgar 2, in particular, offers a cosy (some might say claustrophobic) alternative fringe space in the heart of town, to which the King’s Head production of Coming Clean is about to transfer. The King’s Head, one of London’s first fringe theatres, is not on The Stage 100 list this year, but expect it to return when it opens in its long-overdue, new premises as part of the property development behind it, where it will have not one but two spaces. Artistic director Adam Spreadbury-Maher has quietly continued to blaze a trail there, while also impressively committing shows at its home theatre to subscribe to the Equity Fringe Agreement to pay actors, creatives and crew. Another fringe theatre that is not on the list but opened a new home recently is the LGBT-focused Above the Stag, which is about to receive a major boost to its profile by being included in Ian McKellen’s 80-stop 80th anniversary solo tour. McKellen deserves his own place as the highest-placed actor on The Stage 100 list at number 24, thanks to a year in which he performed a sold-out run of King Lear in the West End and made a commitment to regional theatre in 2018. Compared with previous years, actors may be a little under-represented in the list – welcome though it is to also have such diverse names as Arinze Kene (49), Sharon D Clarke (77), Tom Burke (80), Giles Terera (87), Carrie Hope Fletcher (90), Sheila Atim (95) and Charlene Ford (100, who campaigned for and won the right to return to 42nd Street in a job-share after becoming a mother). Other actors who don’t make the final cut, but have also had exceptional years, include Simon Russell Beale (The Lehman Trilogy and currently The Tragedy of King Richard the Second), Patsy Ferran (who achieved a star-making breakthrough in Summer and Smoke), and Ralph Fiennes and Sophie Okonedo (who played the title roles in Antony and Cleopatra at the National). But it is the venues we return to that still make the most continuous impact. The National (whose artistic director Rufus Norris and executive director Lisa Burger are fifth) and Almeida (Rupert Goold/Denise Wood, 10) are both leaders and innovators. Meanwhile, at the Young Vic, its now departed artistic director David Lan (13) signed off with a season in which The Inheritance and The Jungle transferred to the West End, and his replacement Kwame Kwei-Armah (15) is already making a significant statement of intent with his opening two main house shows so far and a mouth-watering 2019 season. Sarah Frankcom of Manchester’s Royal Exchange deservedly places highest (14) amongst regional theatre leaders, but newly featured are Nottingham Playhouse’s new artistic director Adam Penford (48, with chief executive Stephanie Sirr) and Theatr Clwyd’s Tamara Harvey (65), both of which look set to become essential venues after years of treading water. Others have ebbed – notably Chichester (down to 68, from 32), or (hopefully temporarily) vanished off the radar, like Sheffield’s Crucible and London’s Menier Chocolate Factory. All three were once major drivers of shows to the West End and beyond, but though transfers aren’t the only measure of success, each have lost their buzz for now. Major restoration projects at Chichester and Sheffield have been completed in the past few years, making them attractive to visit and work in. And that too is the lasting legacy of both architect Steve Tompkins (who tops The Stage 100 list this year) and producer/theatre owner Cameron Mackintosh (4), the first by creating new theatre buildings such as Liverpool Everyman and London’s the Bridge, and overhauling the NT, BAC and Bristol Old Vic, and the latter investing a reported £75 million in refurbishing the Victoria Palace among his portfolio of London theatres, which are easily the most handsome in town. Andrew Lloyd Webber (3), too, is also picking up the mantle with the venues under his stewardship, with plans for a big revamp of the flagship Drury Lane (overseen by Tompkins) and last year seeing a memorial wall of fame installed beside the London Palladium stage door honouring those who have appeared there.